"Paradiset" three-seat sofa designed by Kerstin Horlin-Holmquist for Nordiska Kompagniet, NK, Sweden boasts an elegant and organic line, a strong feature of Swedish modern design. 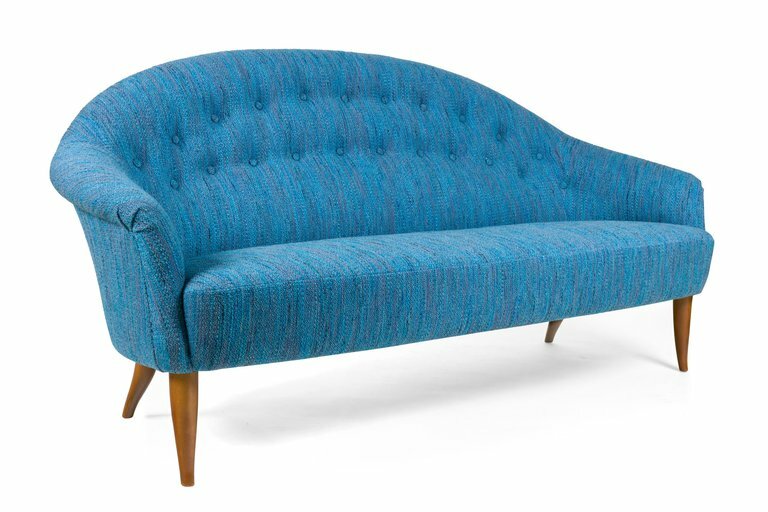 While the smooth line of the back gives a classical appeal, the tapered and curved legs bring whimsical twist to the design. Legs in beech and the sofa was upholstered.